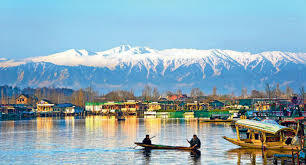 PUNE: Jammu and Kashmir State Tourism Department is participating in two travel shows being held in Mumbai and Pune cities to promote Kashmir to the people of Maharashtra as a diverse tourism destination. The Travel Trade Fair (TTF) being held at Pune and Indian International Travel Mart (IITM) at Mumbai are India's leading exhibitions for the travel and tourism industry. TTF Pune was inaugurated by Mayor of Pune city Mukta Tilak and will culminate on September 24, 2017 while the IITM began from September 21, a statement issued by the Tourism Department said. Assistant Director Tourism Kashmir Ifham Shah and CB Kaul from J&K Tourism Development Corporation are participating in the TTF Pune while as Tourist Officer, Mumbai Shafqat Yatoo and Mushtaq Ahmad Margray from Jammu and Kashmir Tourism Development Corporation participated in IITM Mumbai. The representatives of travel trade industry of the J&K state are also participating in the travel shows to promote different destinations of the state. The department aims to showcase diversified products of Jammu, Kashmir & Ladakh during TTF.